Angel Hernandez held the NABF Light Middleweight title in 2002 and mounted an unsuccessful bid to unseat IBF Champion Winky Wright in 2003 but the 33 year old Chicago resident has been struggling to regain his foothold in the upper classes of the American boxing scene until upsetting middleweight prospect James McGirt Jr last night at Mallory Square in Key West, FL. 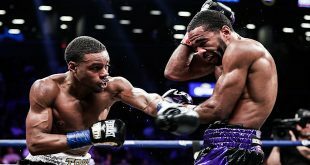 Hernandez was coming off a one-sided loss to light middle contender Vanes Martirosian in June and was to be a step in the rebuilding program of southpaw McGirt Jr, who was coming off a draw against the unheralded Marcus Upshaw in November. But "El Toro" refused to be a stepping stone and came forward for all ten rounds against McGirt, outworking the 26 year old son of famed trainer and ex-world champion boxer "Buddy" McGirt, in what was a close contest. 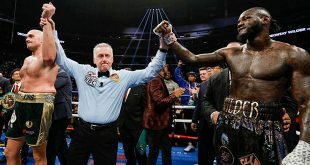 Hernandez convinced the judges by marks of 96-94 twice and 96-95 to improve to 29-7 (16) while McGirt has now won just one of his last four outings to drop to 19-2-1 (9). 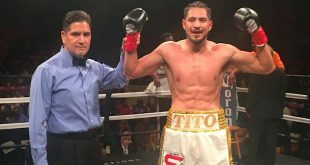 On the undercard, light middle Ermosele Albert, 22-2-1 (1), posted a ten round UD against Germaine Sanders, 27-7 (17), while welter Damian Frias, 16-1 (7), pulled off a ten round points verdict against Edwin Algarin, 10-6-1 (6). Heavyweight Darrel Madison, 13-1 (3), defeated Domonic Jenkins, 13-11-1 (6), after six rounds on points.